In an age where the term "cord cutter" is a noun and content is king, Netflix rules supreme. Every night Netflix accounts for 37 percent of all North American Internet traffic boasting nearly 90 million paid subscribers. Those people pay $10 for the right to binge their favorite shows for 30 days. In exchange, that nets Netflix almost a billion dollars every month. Odds are if you are reading this via Facebook you probably have a Netflix account or at least borrow the login of someone who does. But Netflix has a hungry rival. Its eye's are fixed on the throne. Hulu, Prime Video, or even HBO might spring to mind as contenders, but the would be usurper is, in fact, YouTube. If you are older than 50 you probably didn't know YouTube was a thing. But it is a thing. It's a BIG thing. YouTube sits in second place for nightly Internet consumption with a respectable 18 percent. That number will undoubtedly climb as YouTube's young user demographic grows. In fact, YouTube reaches more 18 to 49 year olds every night than any cable network. 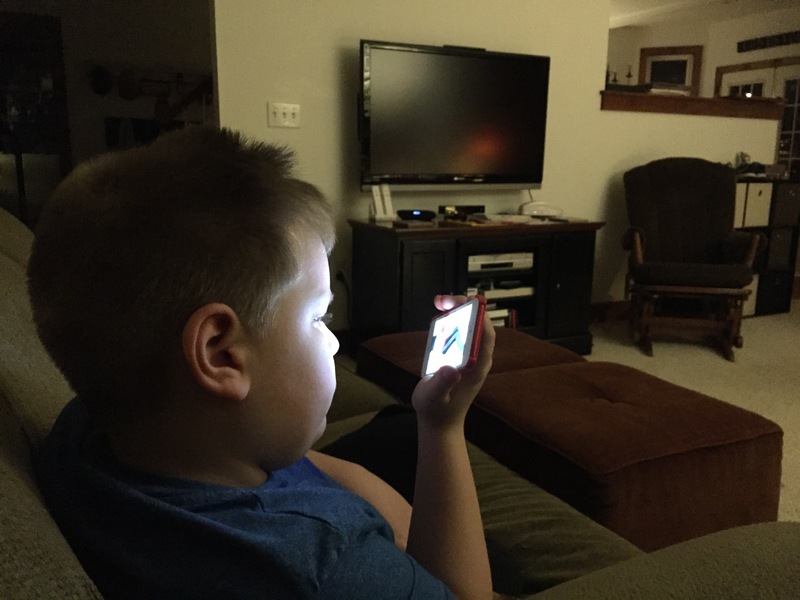 Despite the 42" screen on the wall my seven-year-old son, Benson, would rather watch YouTube on his iPod. He's not alone. While this evidence is anecdotal I find many school age youth prefer to watch YouTube. Every night right before bed my seven-year-old son can watch one last "show." Except most nights it's not a show on Netflix or Hulu (We have both.) but on YouTube. And he's not alone. I hear his friends and peers echo similar feelings when I ask about YouTube. If I was a television executive I would be worried. Very worried. That's a sizable percentage of next generation consumers with an increasingly diminishing interest in traditional media. Ask any school aged youth their favorite show and you'll likely hear titles you can't find on cable or, for that matter, Netflix. There's Thrilling Intent, Lampeter-Strasburg sophomore James McMichael's favorite or freshman Oliver Marvin's favorite Casey Neistat. Both only available on YouTube. If you're reading this article via Facebook, this might be news to you. But if you got here via Instagram or Snapchat then you're likely a YouTube person who's been thinking, "Well, duh!" But who am I kidding? If you're doing Snapchat then you aren't reading this. YouTube's billion user reach is difficult to comprehend. That's almost a third of all the people on the Internet. Every day those billion people watch hundreds of millions of hours of YouTube generating billions of views which in turns earns millions of dollars for the content creators. With a billion watching gone are the days of needing mediocre vanilla content in the hopes of snagging the widest audience possible. There's enough available viewers to support any content niche that's of value. That's a lesson Netflix has learned putting out a new series almost every other week. But YouTube takes a different approach. Instead of spending $5 billion on original programming like Netflix did in 2016, YouTube shifts programming costs to their personalities who foot the entire bill and, in exchange, offers them a piece of the ad revenue pie based on viewership. YouTube is doing for video what the early days of the World Wide Web did for publishing. No longer satisfied to simply be consumers, more people every day are making the transition to content creator. Lampeter-Strasburg is no exception. We have a small but growing community of content creators here. It can be a bold move to put yourself in front of the camera. That spotlight can leave you vulnerable; an easy target for trolls. So why make the switch from viewer to creator? Motives vary. For Adam Harnish, it started as a bit of a joke. "But then one of my videos got a lot of views so then I started to do it more." Others were inspired to follow in the footsteps of great YouTube personalities. Even at the young age of 10 Josiah Bender remembers thinking to himself, "Wow! Imagine if I was as cool as them and if I could do what they could do." Some simply wanted a medium for storytelling. Oliver Marvin said, "I [wanted to] use YouTube as a tool to tell stories." But if you delve a bit deeper, most hope for fame and fortune. Marvin readily admits that he originally got into YouTube to see if he could make money. He adds that he hasn't been successful...yet. The allure of YouTube's earning potential is difficult to ignore. YouTubers with millions of subscribers easily earn 100s of thousands of dollars every month. YouTube superstar PewDiePie brought home $7.4 million in 2014. Many popular YouTube channels are simply people playing video games like DanTDM, PopularMMOs (also known as Pat & Jen), and Stamply Long Head. For many, it's almost like free money. Of course, no one gets a $250,000 check from YouTube after their first month. Mitchel Cline knows that all too well after earning $0.13 one month earlier this winter. He was nevertheless excited because you have to start somewhere, right? Meet the most influential and popular YouTubers of Lampeter-Strasburg. The most popular L-S YouTuber is by far Adam Harnish's RapidKillerBog. Harnish currently has nearly 5,500 subscribers or "subs." He utilizes the popular hybrid model of video game tutorial mentioned earlier. His highest viewed video is just that "How to EASILY Find RAYQUAZA" with well over 110,000 views. Harnish had a breakthrough moment early this summer when on a whim he created a video for the addictive Roblox video game showing how to earn unlimited coins. The video went viral earning over 11,000 views in just a few days. Harnish capitalized on the video's popularity by making more. With this critical mass, he continues to attract new subscribers. In the two weeks it took to write this column, Harnish gained about 200 subs. Harnish has seen monthly paydays from YouTube in the hundreds of dollars. Not to detract from the quality of Harnish's work, but from an adult's perspective he's basically getting paid to play video games. Not surprising, but Harnish prefers YouTube over traditional television. In fact, his favorite YouTubers are other L-S students' Hunter Perozich's BattlefieldFox Fox and Jose Estavez's Josb 983. Another popular L-S YouTubers is Josiah Bender's Jarn with over 1,700 subs. His most popular video is Cubecraft EGGWARS. Bender is a multi talented student who is not only in this year's spring musical, High School Musical, but can also type 100 words per minute. Bender utilizes a different YouTube creation model than Harnish's tutorial. Bender's favorite YouTuber is Morgz. Bender thinks, "He is very good at editting, and also shares the same qualities as me. He inspires me so much because he explains what he has gone through to get where he is at now, and I have experienced the same things." Bender is constantly promoting his channel. He's always trying different formats from marathon long live streaming to Minecraft game playing to increase his sub count. Because more subscribers means more views which should mean more money. Mitchel Cline's Urban Shade is a blend of urban photography and faith based videos. He understands that the key to more views on YouTube is branded social media promotion. As such Cline manages both Urban Shade Facebook and Instagram accounts. Clines most popular video is Skate Videography. Colten Morris' channel, Average Dude, utilizes a unique channel format. Morris often deletes his videos after a few days so you need to watch it before it's gone. This format adds a sense of urgency to the videos. Watch it before its to late. Morris' past videos have focused on Roblox, Roblox hacks, and Minecraft servers. Tim Martin's Imfamous Timster channel focuses on gaming specifically NBA 2K17. His most popular video is Madden 17 Ultimate Team Ep: 1. Jose Estavez's channel Josb 983 also focuses on gaming. His most popular video, a tutorial format, is How to beat the first task in Toon Town. Oliver Marvin's hobbies include photography and videography. His self-titled channel is focuses on these topics as Marvin explodes ways to tell a story. Marvin's most popular video is Kijabe. It is an amateur documentary about a two week long trip to Kenya. When these boys were born neither Netflix (in its current streaming form) or YouTube existed. In the lifespan of these teenage YouTubers, millions of Americans have cut cable preferring to stream their entertainment often to their mobile device. An entire generation of youth raised on YouTube bringing radical changes to our media landscape in just 15 years. Imagine the transformation that will occur over the next 15 with these YouTubers at the forefront creating the next generation of content. Questions remain. Will Netflix maintain its dominance? 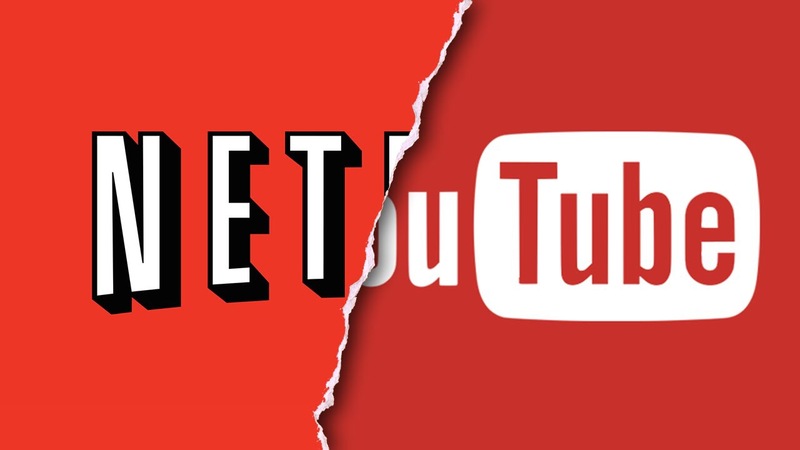 Can YouTube become Netflix faster than Netlfix can become YouTube? Until we find out, these seven will continue to influence the local media landscape here at Lampeter-Strasburg. Consider visiting their channels to learn more. This article originally appeared on his personal blog.